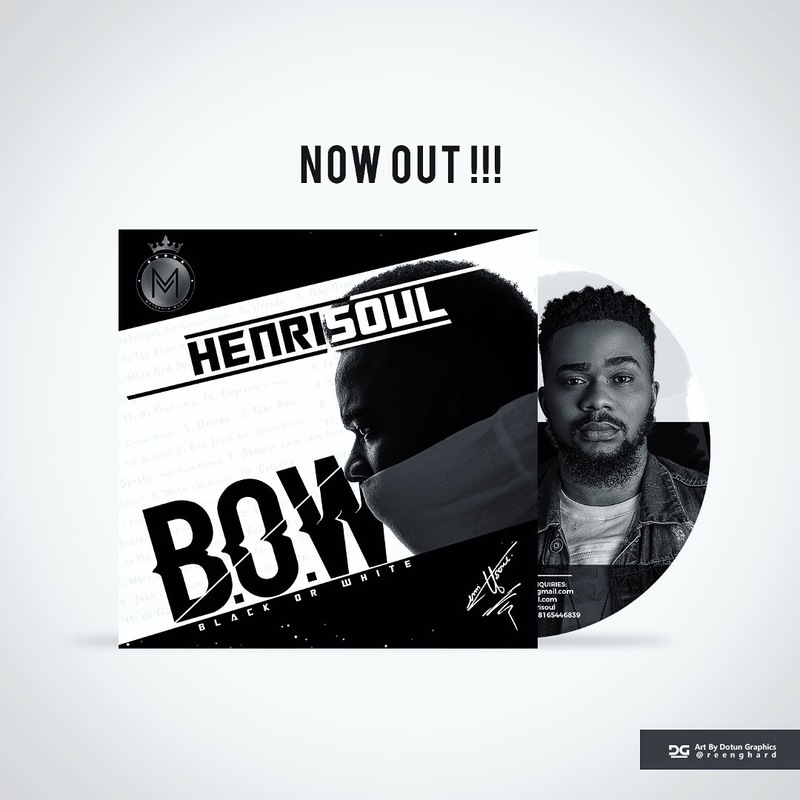 Award Winning Gospel musician Henry Ifeanyi Orji, popularly known as Henrisoul has just dropped his much anticipated album aptly titled “B.O.W”, meaning Black Or White. To celebrate the release of this wonderful debut album, Henrisoul has decided to release a song each from both sides (Black Or White). The much talked about worship song “Hallelujah” featuring Cobhams and the mid tempo Afro beat tune “Shalaye” featuring Nolly and Mike Abdul. Black Or White is a well thought out album which combines worship and Afro beat Gospel as contrasting styles when honoring God. The White side (written in White font over Black background) consists of 6 great worship song with features from the renowned Frank Edwards and Cobhams, American based Gabriel Eziashi and The Vessel. BOW is available on all digital stores which includes iTunes, Apple Music, Boomplay, Spotify, Tidal, Deezer and several others.